Itching is a symptom of many skin diseases, often associated with a rash that tends to occur constantly or in episodes throughout the day. These skin conditions need to be managed medically by a dermatologist. Sometimes itching occur despite there being no identifiable skin disease, no pest infestation (like bed bugs and fleas) and no other medical conditions where itching may be a symptom without a rash. In these cases itching is often said to be idiopathic, meaning that it is not due to any clearly identifiable medical cause. Yet it occurs, and can be persistent in some people. The general term for itching of the skin is pruritus. We all experiencing itching many times in a day without realizing it. A quick scratch or gentle rub and the itching is relieved and we often do not give it any further thought. Itching occurs for several reasons in these cases. Sometimes it just irritation of the skin caused by the clothes we wear or environmental changes. Dry skin is the most common cause. At other times it can be tiny insect and parasites that are sometimes too small to see with the naked eye but can be felt. And then there is the link between itching and stress. It is also known that scratching may be a habit, where we tend to scratch when we are thinking or nervous despite there being no itch. Having a bath just before bed is a common nighttime ritual for many. But the type of soap that you use may actually contribute to itching. Heavily scented and antibacterial soaps are by far the most common cause of skin irritation and itching. These soaps also cause dryness of the skin which in turn leads to itching. Even if you have not noticed any symptoms after your morning bath, try to change the soap you are using. It may not be as much of a problem if you bathe much earlier as the skin oils gradually restore some of the moisture. Alternatively you can moisturize your skin immediately after bathing to counteract the moisture lost when bathing. If you do not bathe at night, even a few hours before bedtime, then try doing so. Dirt, sweat and dead skin cells that accumulate through the course of the day can act as a skin irritant. It may not be as much of a problem during the day while you are awake. But at night when lying in bed covered with a blanket, it can cause itching. A hot shower or soak in a bath tub can also help with relaxing and improving your quality of sleep. But do not make it too long as the water can cause drying of the skin. 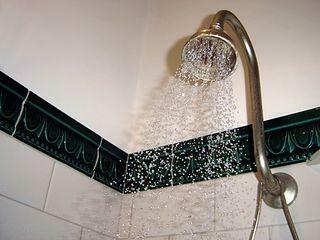 This will lead to itchiness, especially if you had a very hot bath. Also avoid strongly fragranced and antibacterial soaps for the reasons mentioned above. Feeling hot and sweating can contribute to itchy skin. Avoiding the heat entirely may not be possible but if you have an air conditioning or it is safe to sleep with a window open, then you should consider cooling down the room throughout the night. Even going to bed when the room is a few degrees lower than the rest of the house can help. Once asleep, you may not notice the itching. Similarly avoid woolen and thick/heavy blankets. Many people feel that they need to be kept warm to fall asleep but this can contribute to itching. Instead opt for a thin sheet if it is a hot night. Your nighttime clothing may also contribute to heat buildup and keep you awake at night. So reconsider both your covers and your clothing for bedtime. 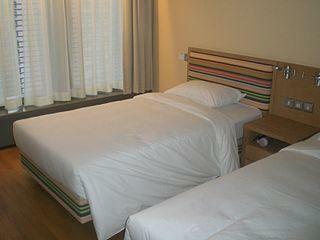 Dirty or soiled bed linen will be an obvious irritant to the skin and lead to itching. But even if your linen looks and smells clean, try to change it regularly. It can become a laundry nightmare at times but bed linen should always be clean. It becomes soiled with perspiration, dead skin cells and bacteria from your body, let alone the dust in the environment. You may not see it, but it is there. Even if you cannot wash bed linen daily or alternate it with clean linen, try to hang out your linen in sunlight and dust it thoroughly before placing it on the bed. Sunlight can destroy bacteria and get rid of house dust mite even without washing. It may not clean your linen as thoroughly as washing but these simple measures are better than leaving your linen untouched. Your mattress is a hive of biological activity. Millions of dust mites live within it and even if you buy a new mattress, dust mites will return within a few weeks at most. Dust mites live off the dead skin cells that you shed profusely during the course of the night. While these mites may not bite you, the mite itself and its feces can be an allergen thereby triggering itching. Change your mattress regularly. Expose it to sunlight during the course of the day. You can also use a waterproof mattress protector to discourage mite infestation in the mattress. And flip the mattress over at least once a week to interrupt the mite’s life cycle. Also remember to get rid of old mattresses as the frayed material and protruding springs or other components can irritate the skin. 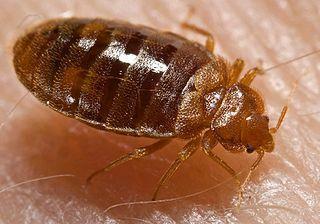 Bed bugs are an extreme case when there is poor hygiene. You may need to throw your old mattress away if you have bed bugs. Apart from these insects, fleas can also be another problem especially if you have pets living in the house. These are only some of the pests that can live in the bedroom, on your clothing or within the mattress and contribute to nighttime itching. The scabies mite and body lice may also be a problem. A pest exterminator may be able to help rid your home and bedroom in particular of these pests. Even if you are not making direct contact with pests, its feces and body particles may be on the bed and can irritate the skin. Domestic insecticides/pesticides may not be as effective in eliminating pests. Therefore the services of a reputable exterminator may be necessary. When all else fails and there is no identifiable skin disease or pests, antihistamines can help relieve the itching and allow you a good night’s sleep. Before opting for over-the-counter brands, first consult with a medical doctor. You may have a skin disease that you are not aware of. Many systemic diseases like kidney problems among others could present with itching as a symptoms despite there being no skin disorder. Topical applications containing calamine, menthol and urea may also be helpful for itching when non-medicated skin applicants like emollients do not offer much relief. Stronger medication like corticosteroids should not be used without a doctor’s supervision. It is reserved for severe cases that do not responds to other drugs.